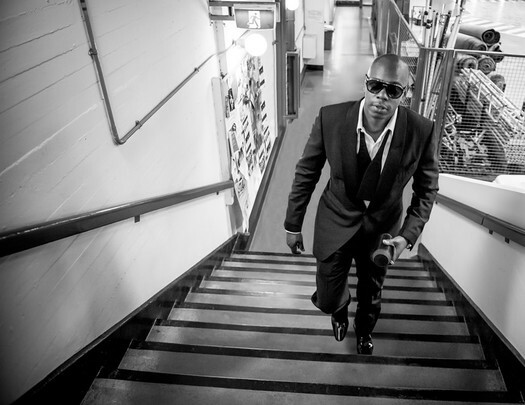 Comedian Dave Chappelle is set to play The Palace October 4. Tickets go on sale Monday (August 17) -- they're $58 (four-ticket limit). Chappelle was riding a big wave of popularity back in the mid-2000s thanks in part to his Chappelle's Show on Comedy Central. And then, after two seasons, he famously quit, citing the effect the show was having on his life. (He moved his family to a small rural town outside of Dayton, Ohio.) The last few years he's been slowly making a comeback doing stand-up shows. The Palace is big, but we're guessing this has a good chance of selling out. So, if you'd like to go, getting tickets sooner rather later is a good idea. That seems like a lot of money to watch someone get really drunk and ramble incoherently for a couple hours, as he's proven likely to do. I saw him in NYC last year and he was great! No drinking or rambling. He did break the theaters' rules by chain smoking like a chimney.